5.30 p.m. onwards. Check in. 7.00 p.m. Introductions on board ‘Betsie Jane’ (weekend guests only). 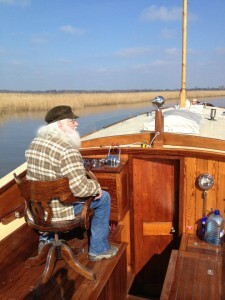 11.00 a.m.-3.00 p.m. Cruise on board the ‘Betsie Jane’ with lunch. Make notes, disappear to the cabin and write or simply enjoy the scenery. 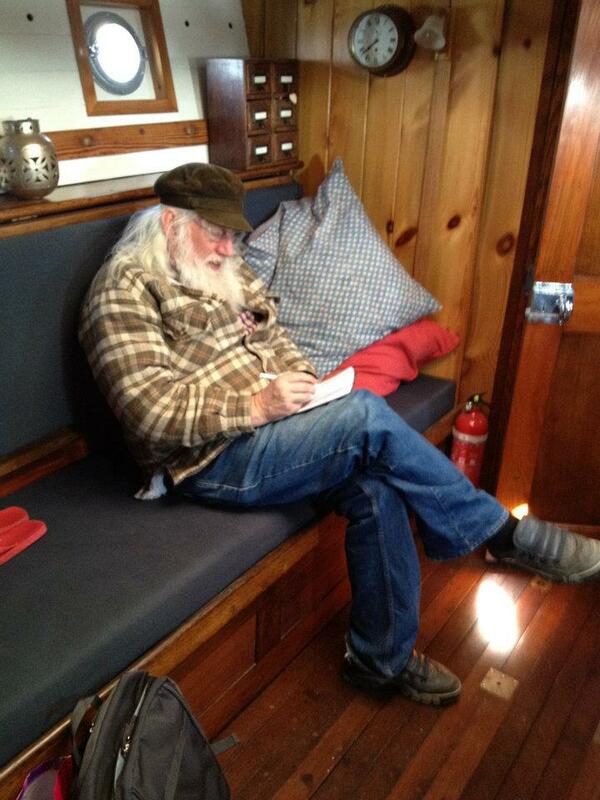 John will be on hand for information, advice or ideas. 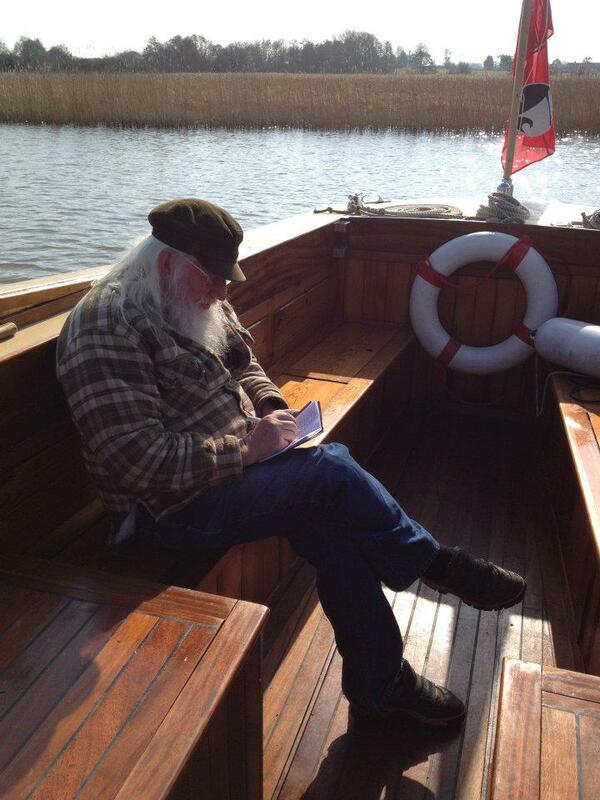 ‘Skipper’ Paul will provide any technical or nautical information as needed. 4.00p.m.-5.00p.m. Individual sessions with John. 6.30 p.m. onwards. Evening sharing session. A time for nibbles, wine and fine conversation (weeekend guests only). 10.30 a.m.- 4.00 p.m. Further exploration of the Norfolk Broads on board ‘Betsie Jane’ including lunch and a visit to one of the Broad’s riverside pubs. 4.30 p.m.-5.00 p.m. Final workshop. 6.30 p.m. onwards. Evening sharing session (weekend guests only). The cabin is a wonderful spot for some quiet, private time to write. There is ample opportunity for all participants to take advantage of this.